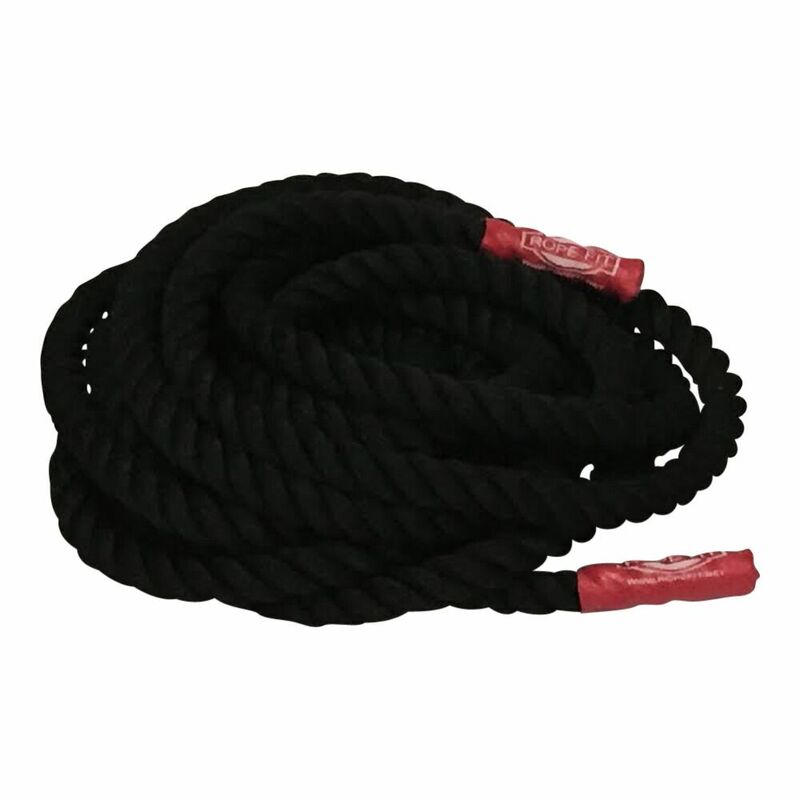 ROPE FIT'S black 2 inch monster BATTLE ROPES are constructed from the same high quality poly dacron rope, that our original white ones are made from. They have both ends sealed w/ our industrial strength heat shrink handles to prevent fraying. Our BATTLE ROPES can be used inside or outside and are suitable for gym or MMA mats and hardwood floors. Our BATTLE ROPES are water resistant, wont rot, shed or fray as many inferior ropes do. Our BATTLE ROPES can be used for almost anything. Battling, tug o war, rope pulls, sled pulls etc. Available in 30,40,50,75 & 100ft lengths. Custom lengths are available upon request. Remember the longer the undulation (wave) the rope makes, the better the workout. 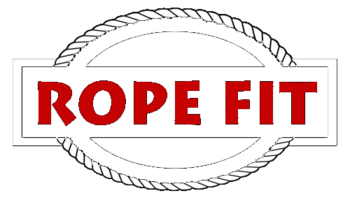 Rope Fit recommends getting a longer rope and just wrapping it around your anchor point several times ( to shorten it ) and as you get in better shape you can undo the rope to full extension. This way you wont need to purchase a longer rope at a later date.